Believe it or not, some windshield wipers are better than others when it comes to handling the snow. And this fact alone is important if you live near Yarmouth, NS since we get a lot of snow year after year. So, with that said, you’ll want the best wiper blades to help you see as clear as possible. Thus, let’s look at the best windshield wipers you can buy for the snow. These windshield wipers are great on your wallet. In fact, you can easily find them for as low as $16, which is ultra-affordable! Unfortunately, you’re also getting the performance you’d expect of a budget model. Sure, they get the job done of wiping snow off your car. But once they get cold, they have a habit of streaking and skipping across your glass. And when this happens, you don’t get a clean windshield. Now, in fairness, you have some solutions here. For example, putting a sock over your wipers when you leave them in the cold is a viable solution. And constantly lubricating the wiper blades keeps their hinges smooth enough to cover your entire windshield. But it’s still far more maintenance than what other wiper blades require. These work just like the metal-framed wipers. Only, just as the name implies, they come with rubber attachments. And when it comes to removing snow and ice from your car, these rubber edges help quite well. But, like metal-framed wipers, you don’t want their frames to get cold. Otherwise, they lose their flexibility and streak and skip across your windshield. Now this is what you’ll need to combat the snow in the winter. Overall, these are frameless windshield wipers. To compensate, they come with a natural curve, so they’ll stick to your windshield without needing to bend or fold at any hinges. Therefore, you won’t need to worry about the cold messing with the windshield wiper’s ability to fold to clean your windshield. What’s especially nice about these windshield wipers is that they work like a spoiler on your car. In other words, these wiper blades use the natural downforces of the wind to stick to the windshield. So, with that said, these windshield wipers also work perfectly when the weather warms up in the spring and summer as well. So, at the end of the day, beam blades bring you a windshield wiper that’s far more durable and requires far less maintenance than your other options. In fact, all you need to do here is remembering to clean them from time to time (which is basic car maintenance). Thus, beam blades are hands down the best windshield wipers for snow and just about any other type of weather you’ll come across. 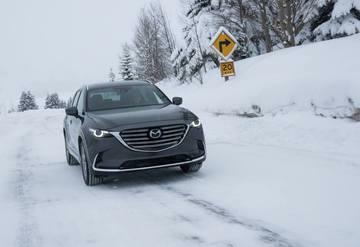 And combined with a nice AWD drivetrain, you’ll find no winter road that can stop you from getting where you need to go! Basic car care starts with your windshield wipers. And you’ll want to ensure that you buy a set of blades that can handle the upcoming snowy season. Best of all, you can pick up your wiper blades with your next car service. So, schedule a service appointment to get your car ready for the winter at Yarmouth Winter.